Feminists from 1848 to the present have rightly viewed the Seneca Falls convention as the birth of the women's rights movement in the United States and beyond. In The Road To Seneca Falls, Judith Wellman offers the first well documented, full-length account of this historic meeting in its contemporary context. The convention succeeded by uniting powerful elements of the antislavery movement, radical Quakers, and the campaign for legal reform under a common cause. 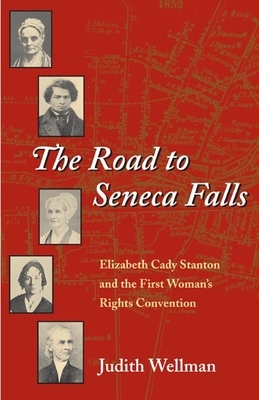 Wellman shows that these three strands converged not only in Seneca Falls, but also in the life of women's rights pioneer Elizabeth Cady Stanton. It is this convergence, she argues, that foments one of the greatest rebellions of modern times. Rather than working heavy-handedly downward from their official "Declaration of Sentiments," Wellman works upward from richly detailed documentary evidence to construct a complex tapestry of causes that lay behind the convention, bringing the struggle to life. Her approach results in a satisfying combination of social, community, and reform history with individual and collective biographical elements. The Road to Seneca Falls challenges all of us to reflect on what it means to be an American trying to implement the belief that "all men and women are created equal," both then and now. A fascinating story in its own right, it is also a seminal piece of scholarship for anyone interested in history, politics, or gender. Judith Wellman is the director of Historical New York Research Associates, professor emerita of history at SUNY Oswego, and former park historian at the Women’s Rights National Historical Park in Seneca Falls, N.Y. She is the editor of Landmarks of Oswego County, the author of The Seneca Falls Women’s Rights Convention: A Study of Social Networks, and Grass Roots Reform in the Burned-over District of Upstate New York: Religion, Abolitionism and Democracy.